When today promises to be even longer than yesterday and you’re not sure when your next meal will be, start with toasted whole wheat sourdough slathered in ricotta and topped with sliced plums, honey, fresh thyme and black pepper. This pairs nicely with a latte and some last-minute packing for a much-needed weekend getaway. 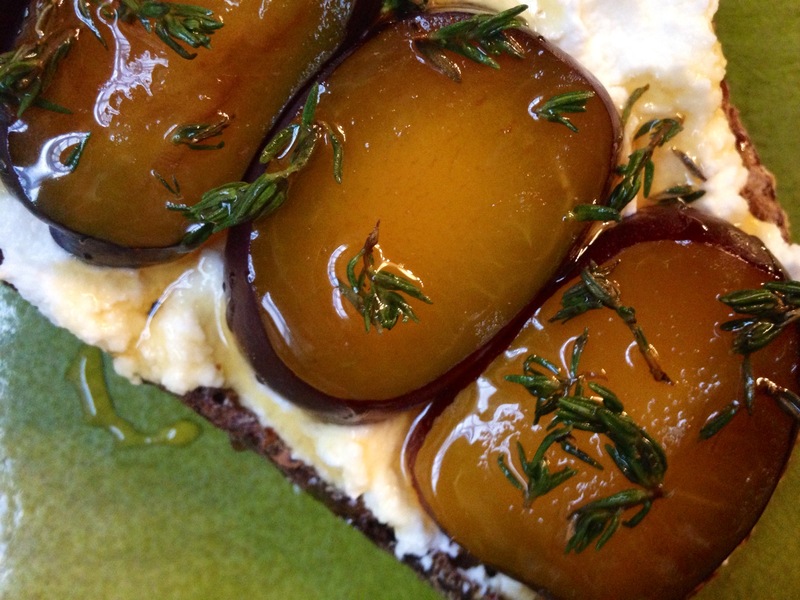 This entry was posted in breakfast, quick lunch, vegetarian and tagged bread, plums, ricotta by Jasmine Nielsen. Bookmark the permalink.